To date, here on The Art Gear Guide, I have reviewed a few Koh-I-Noor products and I really don’t think it is a secret that I absolutely love this company and the art supplies they provide. A question I am asked quite often is, “What are the best quality colored pencils that are relatively inexpensive?” and my answer is always the same three or four pencil brands with the Koh-I-Noor Polycolor top of the pile. Of course, all that being said, should I come across a product that I feel is not up to scratch I would absolutely report that on my site and YouTube channel. So the next Koh-I-Noor product that I am reviewing for you today is the Koh-I-Noor Soft Pastel Pencils. Not that long ago, I reviewed the Koh-I-Noor Extra Soft Pastel Cylinders, which I absolutely loved and got excellent results from them. To see both the written review and video review, simply follow the relevant links. I have reviewed quite a few Pastel Pencils in the life span of The Art Gear Guide and one of the most common themes throughout has been the chunky nature of the pencils themselves. To be honest, this is a feature I actually like, I am not sure if it is my clunky hands, but I feel like I have more control with the thicker barrelled pencils, which again, may be a bit of backward psychology. So all that being said, the Koh-I-Noor Pastel Pencils are by far the thinest pencils I have reviewed. I had always thought that the reason pastel and watersoluble pencil barrels are significantly thicker than other colored pencils was to do with the fragile makeup of the internal ingredient, so at first glance I thought the Koh-I-Noor Pastel Pencils would be problematic to sharpen. This was not the case, I tried to sharpen the pencils with ordinary hand sharpeners and manual hand crank sharpeners, of which both worked quite well. Never the less, I would advise using a craft knife or blade to sharpen as there is less waste to the pastel and less change of breakage. The barrel is a slimline 7.5mm, housing a 4.2mm core, but don’t let this petite core lull you into a false sense of inferior pigment delivery, this is most certainly not the case. The core may be smaller than other pastel pencils I have reviewed but boy do they pack a pigment punch as well as or better than some of the other big hitters. The barrels are exposed wood grain which looks gorgeous and each individual pencil is capped off with a half inch pigment indicator, making color selection from a visual perspective quick and easy. Along the barrels in gold print, which can on occasions, depending upon light, be troublesome to make out, is the company name “Koh-I-Noor Hardtmuth”. Further along from this is printed “Gioconda” closely followed by the words “Soft Pastel” printed. Finally on the very end of the barrel, just before the pigment indicator is a number, the first four digits 8820 refer to the product being a pastel pencil, the one or two digit number after this refers to the actual pigment and the reason for this code is ordering open stock pencils. There is no pigment name printed on the barrels, however, Koh-I-Noor have an easy to navigate website where you can view or download a PDF file which will let you know the pigment names as well as a lot of other information pertaining to the product, such as lightfast information. Unfortunately this is the only area that the Koh-I-Noor Pastel Pencils fall down for me and it is only because I love the pencils so much. The largest set available is 48, now I am fully aware that all the pastel pencil sets I have previously reviewed only have a largest set number of 60 with the exception of one going up to 76. 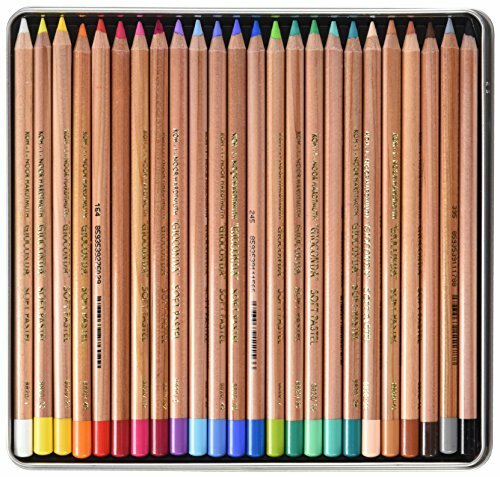 I personally wish that the Pastel Pencil sets could grow to 120 or 150 sets especially when you take into consideration the vast number of pastel blocks available. 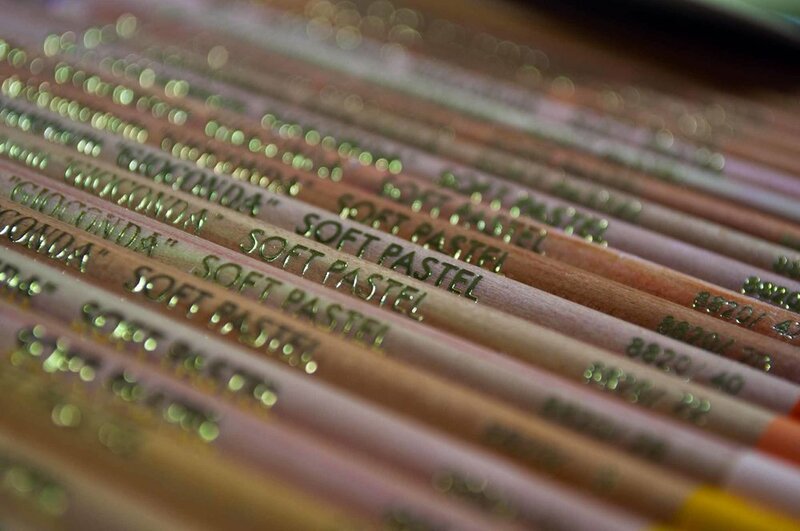 The full range for the Koh-I-Noor Soft Pastel Pencils are a set of 12, 24, 48 and of course open stock availability. 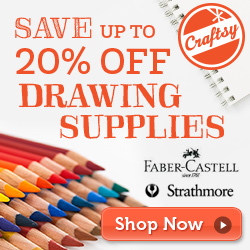 The fact that the pencils can be purchased in open stock format is quite important for pastel pencil artists. 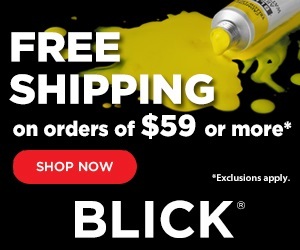 As I have mentioned at the beginning of this article, the reason I love Koh-I-Noor so much is because they have made excellent quality art supplies accessible to a much wider demographic due to the price points being so low, which i personally think is fantastic because too many budding artists feel the pressure of expensive supplies. 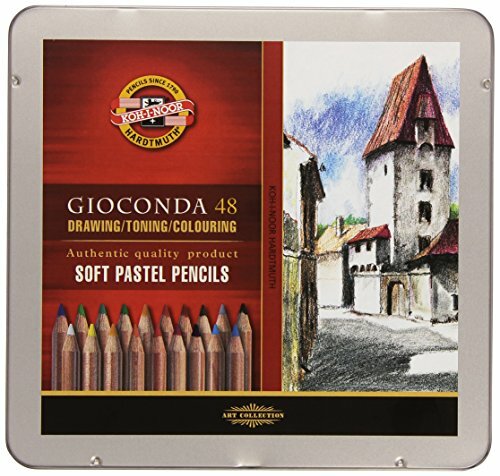 For the 12 set of Koh-I-Noor Soft Pastel Pencils, in the UK it will cost £11.93, for the 24 set you can expect to pay and fantastically low cost of £19.57 and finally for the 48 set of Koh-I-Noor Soft Pastel Pencils you will pay £39.74. For artists in the US, the 12 set of Koh-I-Noor Soft Pastel Pencils will cost $17.95 , for the 24 set of Pastel Pencils they will cost $30.97 and finally for the largest set of 48 Pastel Pencils, US artists will cost $49.29. Despite the slightly smaller core size of the Koh-I-Noor Pastel Pencils over a lot of other pastel pencils I have reviewed, by sharpening the core using a craft knife, you are still able to lay down a considerable coverage. Koh-I-Noor are not messing about when they say their Pastel Pencils are soft, most of the other pastel pencils I have reviewed thus far have been of a slightly harder, more chalky consistency, this is not the case with the Koh-I-Noor Pastel Pencils. With a light hand I was able to lay an even consistent coverage, there is no doubt about the fact that with a slightly heavier hand a bit of crumbling and powder, however, significantly less than other brands, I was pleasantly surprised. The pigment strength and vibrancy is sensational in the Koh-I-Noor Pastel Pencils, for a pencil so comparatively inexpensive, you would certainly expect to concede some deficiency in quality, however, I really didn’t find this to be the case. 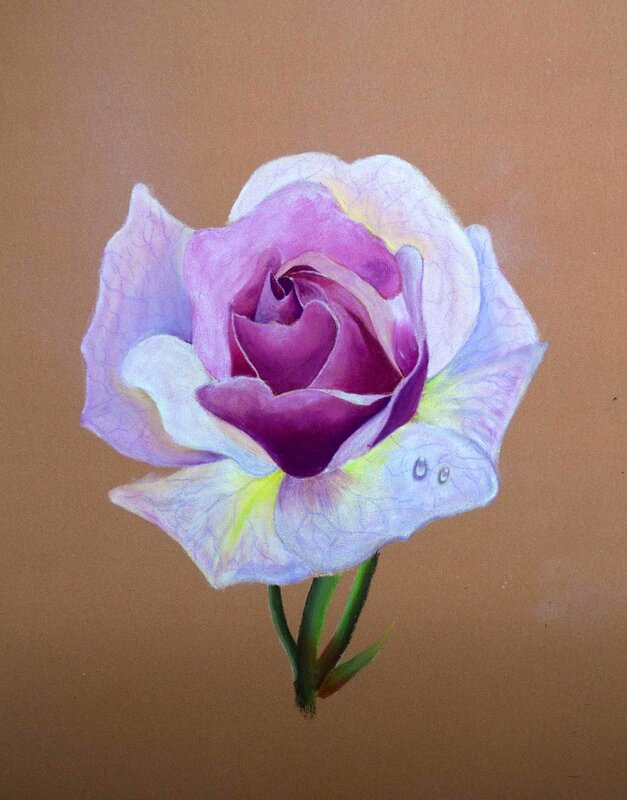 I completed a speed drawing of a flower using the Koh-I-Noor Pastel Pencils and although I am still learning so much about pastels and various techniques that are completely different to colored pencils, I am relatively happy with the end result. The image below is the end result however to see the speed drawing video follow the link or if you would rather just see some still images of the process from beginning to end at various stages of completion, follow this link. 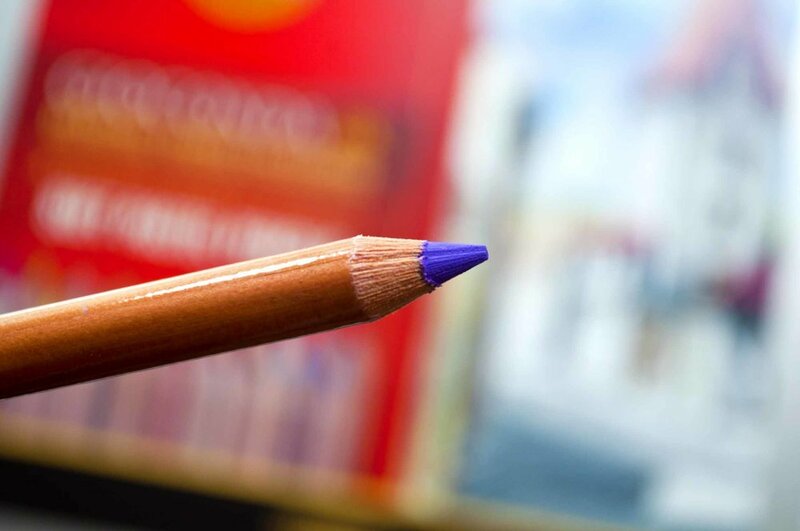 As with the pigment name, there is no lightfast information printed on the barrel of the Pastel Pencil, however, this information is easily found on the Koh-I-Noor website in the form of a visual or downloadable PDF. 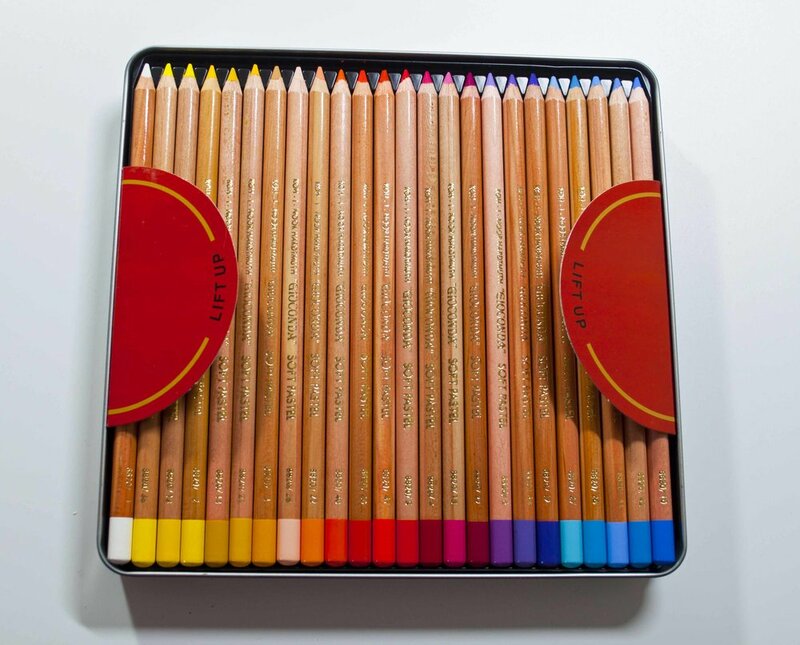 Of the 48 Koh-I-Noor Pastel Pencils, 44 are rated the highest 5 stars, One is rated 4 stars, one is rated three stars and two rated two stars. I am not a 100% sure, but when I first reviewed the Koh-I-Noor Polycolor pencils which was close to the beginning of my time starting up The Art Gear Guide, so a year and a half ago or two years, Koh-I-Noors website was not as comprehensive as it is now and certain information was difficult to locate. So I think that over such a short period of time, Koh-I-Noor have done a fantastic job making information about their products so readily available and done an all round excellent job with their products. I fully understand some of the challenges surrounding pastel pencils, the sharpening for example can be tricky and for those who may have issues with their hands, trying to sharpen a pastel pencil with a craft knife would be incredibly difficult. The other issue of course is the feel and texture of the pastel powder when on the paper, I know a few outstanding artists who just cannot entertain the idea of using pastels due to the feel of them and the sensation of the pastel on their hands. In this case, Pastel Pencils are an excellent alternative and can help such artists overcome their phobia of pastel powder on their hands. 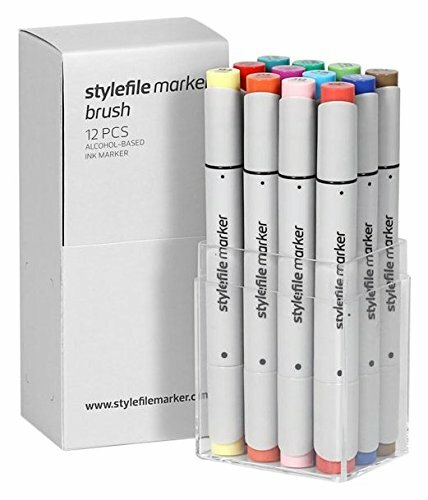 I personally love this set of pastel pencils and think they are an excellent choice for those looking to dip their toe into pastel art, students and artists looking to add phenomenal detail to already established pastel art. 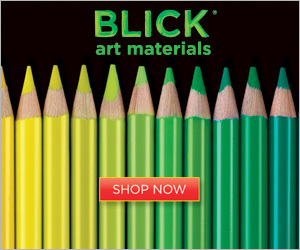 Their pigments are strong and vibrant and lay down beautifully on a range of pastel papers. Don’t forget, you can check out my full detailed YouTube review of the Koh-I-Noor Pastel Pencils by following the link. As well as this you can take a look at my speed drawing using the Koh-I-Noor Pastel Pencils by following the links.